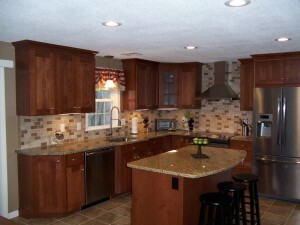 With over 25 years experience, Paul's Quality Kitchens can help you create your dream kitchen or bathroom. If you haven't heard our radio ad yet, click the image below. Each and every kitchen that we design at Paul’s Quality Kitchens is customized to meet the needs and requirements of the customer. We start by coming out to your home to take measurements and discuss your ideas for layout and design. Our team of professional craftsmen have many years of experience working with kitchen design in Southeastern Massachusetts and Rhode Island. We can help you select the brand name, style, design and color for your new kitchen to create a finished look and feel that you will enjoy for many years to come. 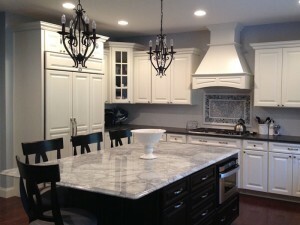 Give us a call or stop by our Fall River, MA showroom to take a look at our brand name kitchens. 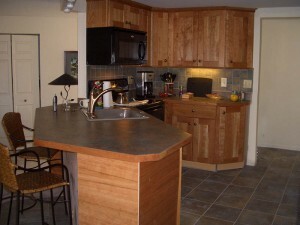 We have built the entire reputation of Paul’s Quality Kitchens on our ability to provide our customers with top quality design work, installation and customer service. 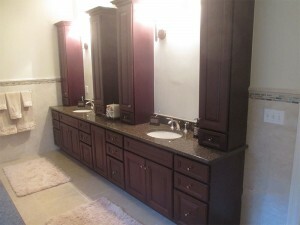 Our experience with custom kitchen cabinetry and design led us to also specialize in custom bathroom design. Like our kitchens, each and every bathroom that we design at Paul’s Quality Kitchens is custom designed according to the unique needs and specifications of the customer. Each project begins with our team coming to your home to take true measurements of the space for your dream bathroom design. We will work with you to discuss ideas for layout and design, providing you with options for top quality materials in a variety of brand names and styles. Contact our Fall River showroom or stop by to take a look at the products and designs that we use. Our mission is to provide each customer with a truly personalized experience and create a beautiful new custom bathroom that they will want to show off to family and friends. Paul’s Quality Kitchens also provides our services to professional contractors, designers, architects and developers in the area of new home construction. We can create a wide array of beautiful kitchens and bathrooms that will enhance the look and feel of your property. Kitchens and bathrooms can be built according to specifications or built-in according to the existing dimensions and layout of the floor plan. Our designers will work with you to create truly custom brand name kitchens and bathrooms that will dazzle your clients or excite prospective buyers. Give us a call or stop by our showroom in Fall River, MA to learn more about our custom kitchen and bathroom designs for new home construction. With over 25 years of experience designing and building quality kitchens in the South Coast area, you can count on Paul’s Quality Kitchens for your new home construction project. Paul’s Quality Kitchens also provides professional quality design and installation services for kitchens and bathrooms created specifically for apartments and condominiums. Our team can meet all of your unique kitchen and bathroom needs. Contact our Fall River location or stop by our showroom to take a look at some of the brand name kitchens and bathrooms that are available. You can count on our many years of experience to provide you with quality results for your apartment or condominium remodeling or construction project.